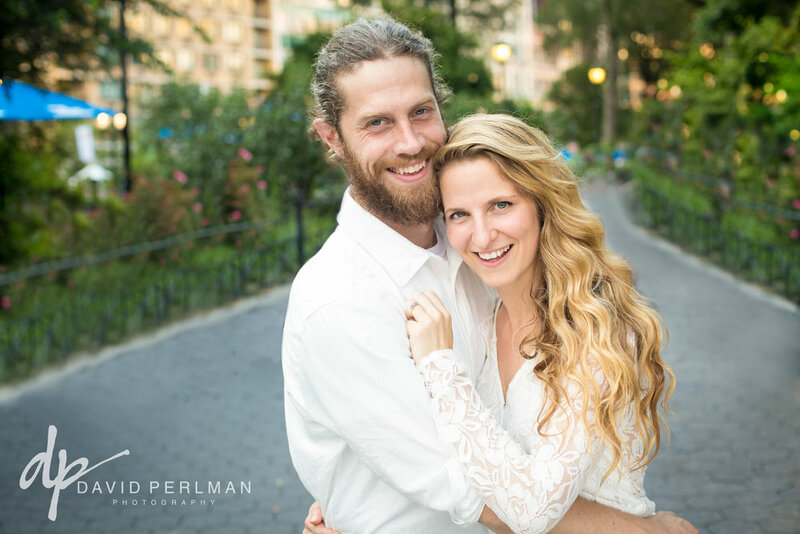 I was thrilled that Michelle and Peter wanted to take photos in Union Square - because that is where they met! Once I met them there, I got the full story. 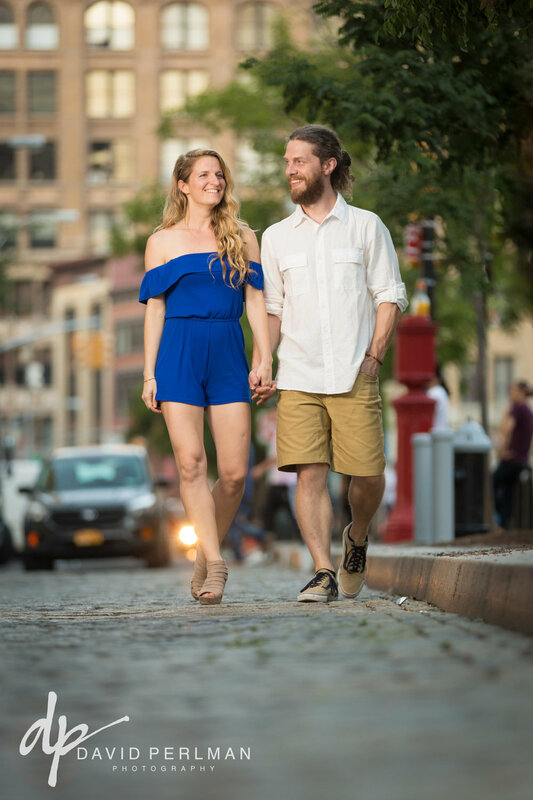 Four and a half years ago, Peter was working in a food truck right off Union Square when Michelle came up to his window. She wasn't looking for food but rather a place to charge her phone, which we all know takes a little while. This gave these two plenty of time to get to know each other a little bit, and a few days later when Michelle was in the area again, she stopped by Peter's truck; this time they exchanged information! Many of their first dates were around Union Square (Union Squarea as I call it), so we made sure to visit one of their usual date spots La Maison du Croque Monsieur. These two are getting married in a just a few short weeks, and I am so excited to capture their special day!